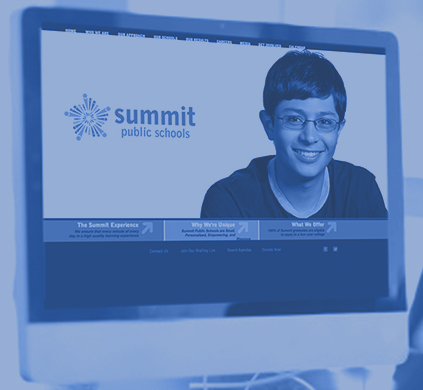 Why Summit Public Schools Came to Us: Since Summit Public Schools’ inception in 2003, they have remained true to their mission – to prepare all students for success in a four-year college or university. 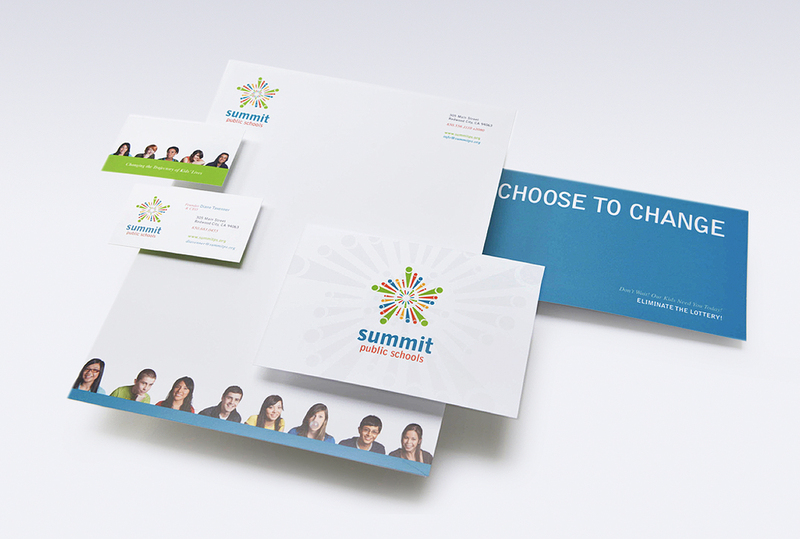 We began working with Summit in its infancy, and for more than 10 years have helped them help raise awareness of the Summit model as they’ve expanded their reach.  In 2017, U.S. News and World Report ranked three of Summit’s schools among the nation’s Top 100 High Schools. 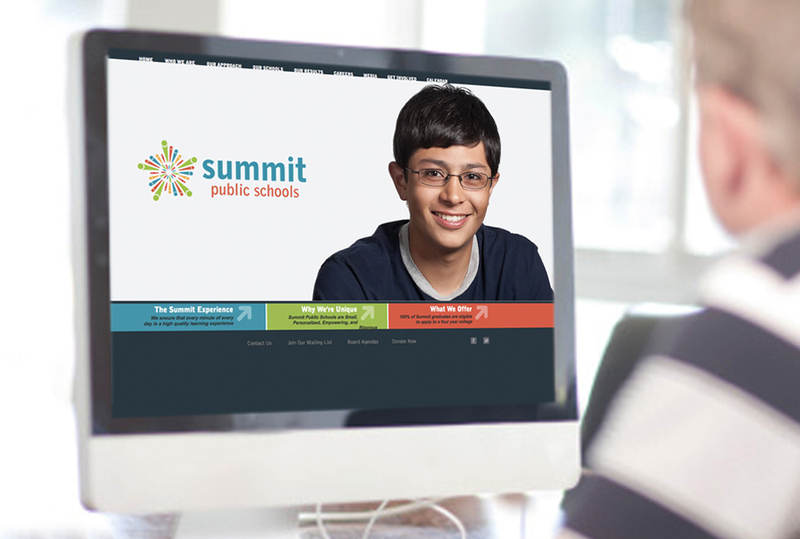 Our Summit Public Schools Strategy: In the early years, we created a strategy to help Summit raise positive awareness of Summit’s first schools. 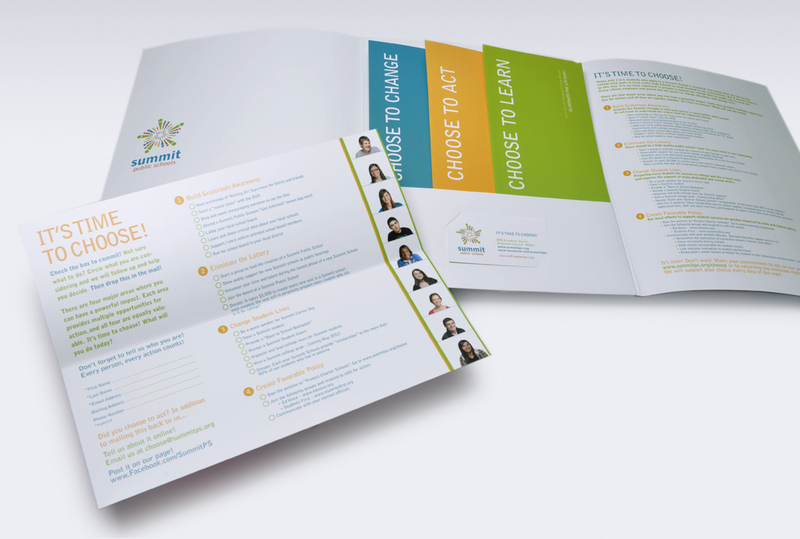 This work started as we helped position Summit as they shepherded their school petitions through the approval process to launch additional high-quality campuses across Silicon Valley. 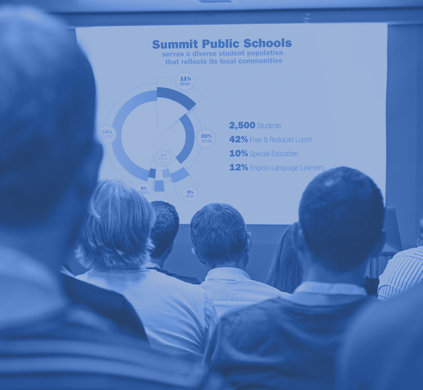 This included several hands-on efforts to help Summit’s schools secure campuses from their local sponsoring school districts. 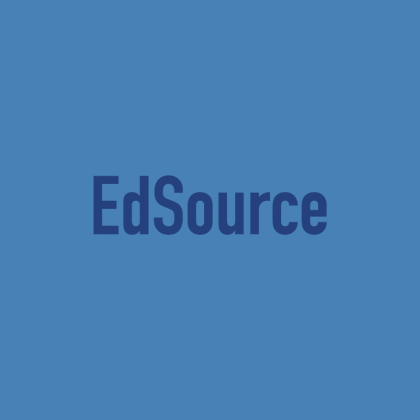 Many of these school districts were resistant early on to embracing another public school option in their community. 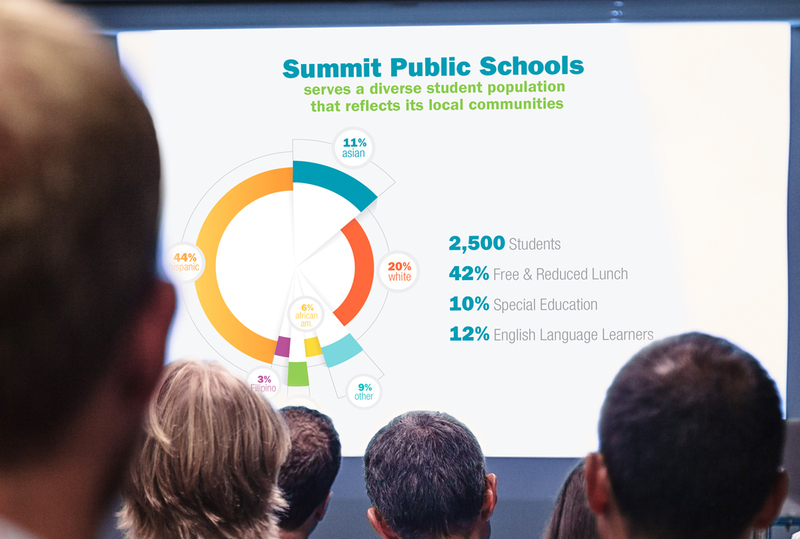 By helping communicate Summit’s success with its students – close to 100 percent of their graduates each year are accepted to college – more area school districts are now eager to learn from Summit’s results. 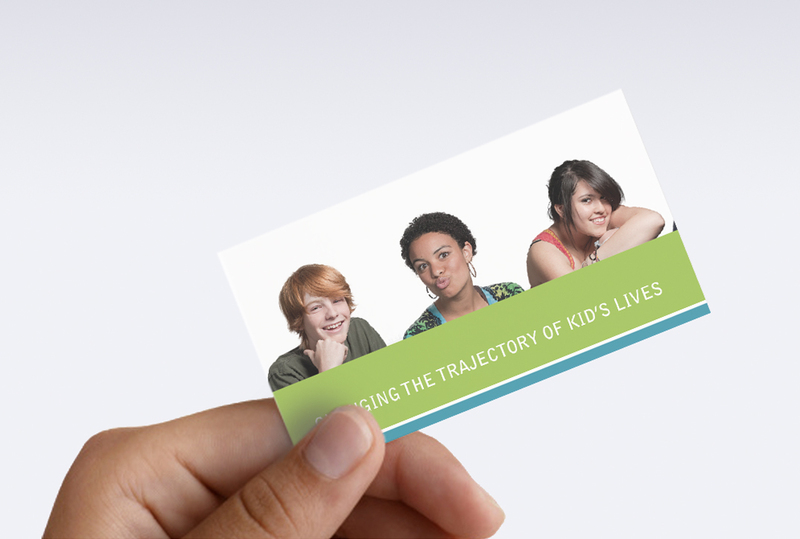 We worked with our design partners to create a strong brand as a vehicle for our messaging. 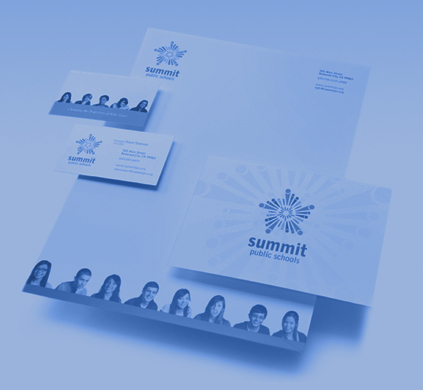 As Summit built an incredible track record of success in getting kids to college, complemented by our positive storytelling and news placements, Summit’s brand solidified. 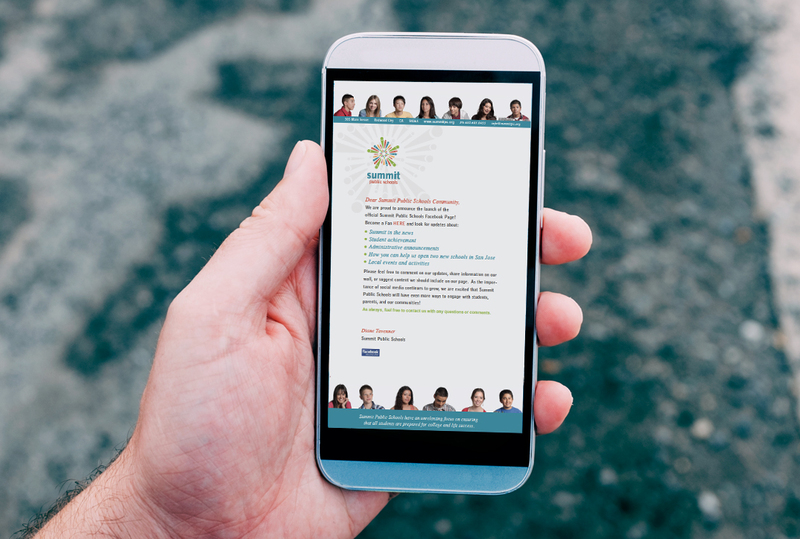 We continue to spearhead their communications and public relations efforts as they expand their Facebook-backed model of personalized learning. 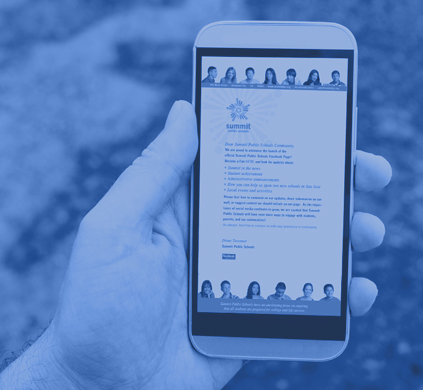 Through a steady stream of consistent, proactive communications, Summit is now recognized as one of the world’s leaders in developing the personalized learning model, ultimately partnering with Facebook to expand the model in schools across the country. 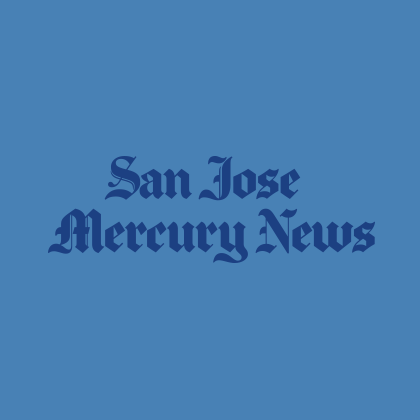 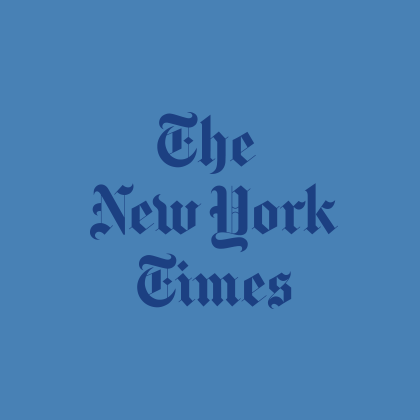 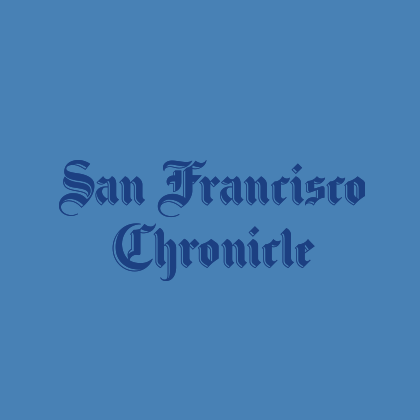 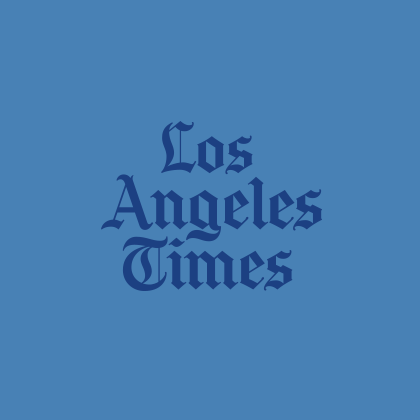 Feature news stories in The New York Times, The San Francisco Chronicle, The San Jose Mercury News and U.S. News and World Report have continued to solidify Summit’s brand. 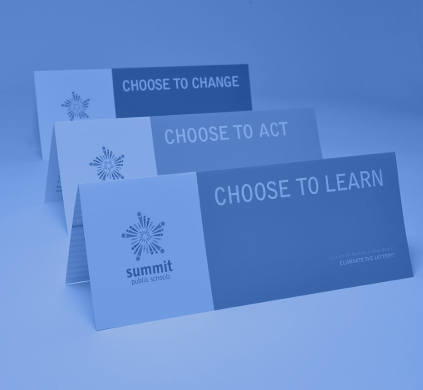 Today, school systems from all over the nation are eager to partner with Summit to adopt their successes in their own schools.